Yesterday, the Washington Post reported the president’s draft 2018 budget includes massive reductions to programs at the Environmental Protection Agency – a cut that slashes federal funding dedicated to Chesapeake Bay cleanup from $73 million annually to $5 million. Lt. Gov. Ralph Northam has long been committed to the cleanup and preservation of the Chesapeake Bay. 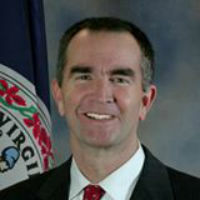 A strong opponent of offshore drilling, the lieutenant governor was the first statewide official to urge the Obama administration to exclude the Commonwealth from offshore drilling. He voted consistently to oppose legislation favoring drilling in the Senate, citing the risk to important state industries such as defense, agriculture and tourism. For years, Northam fought for legislation to protect the bay from pollution and to champion industries that depend on its health like crabbing and oyster harvesting. “The restoration of the Chesapeake Bay is one of the reasons I became involved in politics. The Trump Administration’s proposed budget slashes crucial funding and will stop the progress we’ve made. Any efforts by this administration or Congress to undercut funding to the Chesapeake Bay’s cleanup are unacceptable. As governor, I’ll never waver in defending the resources and efforts to restore the Chesapeake Bay. Update: Saturday, 11:17 a.m. Tom Perriello also commented on the move by the Trump administration on Twitter.